For thirteen years since our house was built we have had difficulty with paint peeling from the window frames, mainly the drip bars. The builder prevaricated and delayed for five years so we went to NHBC who declined our case because we had only informed the builder, not the developer, both with the same address, same tel number and same staff! No matter whether peeling paint is stripped to the bare wood, primed, undercoated and top coated, it always peels – sometimes within a few months. I have tried the paint manufacturers for solutions and followed their instructions to the letter but to no avail. I am beginning to think my only option is to have all the glazing bars removed and replaced because there seems to be some problem with the wood. What would your advice be, please? 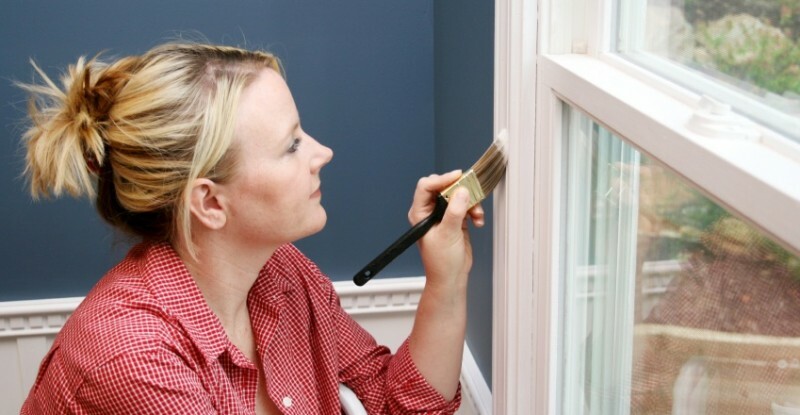 A. I can’t say why your window frames won’t hold a coat of paint without inspecting them. Some species of hardwood are oily and difficult to paint, and some cuts of softwood can be resinous, and also resist painting. You don’t say if you are using oil-based paint or water-based acrylic paint – the former is likely to give better results. Also you mention there being a particular problem with the glazing bars, and I wonder if these windows are glazed using traditional putty. If so, and if you have been using water-based paint, then it would explain the problem – the linseed oil in the putty will not take a coat of water-based paint. And perhaps some of the linseed oil has also impregnated the adjacent timber, with similar results? Try again, using a good oil-based painting system, perhaps starting with an aluminium-oxide primer, which is usually the best first coat for problem timber. Regarding the NHBC, unfortunately, new homes bought direct from a developer (“newbuild” homes) are not covered by the normal consumer protection rights of the Sale of Goods Act. You have more consumer rights when you buy a can of baked beans than you do when you buy a new developer-built house. That is one reason why I always advise readers not to buy newbuild properties. In the absence of this legal protection, buyers have to rely on a guarantee, the most common being the NHBC ten-year Buildmark warranty. The NHBC (National House-Building Council) might sound like an official body, but it is really just an insurance company. So the NHBC warranty is actually an insurance policy, taken out by the developer but passed onto (and paid for by) the customer. Many homeowners fail to appreciate that an NHBC warranty is really only an insurance against the developer ceasing to trade. As long as the developer is still trading, you have to take up the problems directly with them – the NHBC only becomes involved if the developer ceases trading, or steadfastly refuses to act. In any case, after an initial two-year “snagging” period, the NHBC warranty covers only structural faults, and after thirteen years, you are not covered for anything at all.